My Brain on Books: Screaming at the Ump by Audrey Vernick for MMGM, plus An Interview! "My advice is to not conduct one's writing life the way I conduct mine." Thanks for the interview and glad you enjoyed this one too! Hi Deb! I'm still laughing at that line, myself. If I ever decide to read a MG book with a sport background I will pick this one. It sounds pretty good. Thanks, Akoss. Hope you do! What a great interview! I loved reading about Audrey's process, even though she doesn't recommend it. :) It just goes to show that there are many ways to write a novel. And her book sounds fantastic. I'm not a big sports reader, but umpire school sounds like fun. I'm always fascinated by the writing process of other writers, Jenni. And everyone's process is different, isn't it? Great interview, as well. I love your quirky writing process and publishing journey, Audrey! I'm off to check out your new post, Suzanne. Thanks. It's always interesting to compare your own journey to someone who has traveled further down the road. Thanks for the great interview. 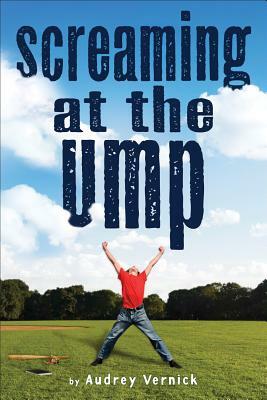 The book is perfect companion to the Little League World Series playing this week. I try and catch several of these games on ESPN to remind me what baseball is supposed to be about. And I didn't even plan the timing that way, Greg, as I had no clue the Little League World Series was this week! Thanks. And you've made a good point. Thanks for all these lovely comments, everyone. And Greg, I hope you will try to watch the PA-TX game on Wednesday--pitcher Mo'Ne Davis has been something to see! Honored to have you on my blog, Audrey! Glad you enjoyed the book. It is such a good one. Thanks for the interview. Very interesting stuff. Thanks again, Rosi, for your generosity! This interview truly captures the voice of the author. Bravo to Joanne and Audrey for their authenticity! That's very kind of you, Pamela. Although I am not a huge baseball fan, I think this book has a lot of appeal. I am curious about how umpires get their jobs and I know a lot of kids who will want to grab this book off the shelves. Thanks for sharing! Best of luck to Audrey. I enjoy learning about that too, Jess. Thanks for stopping by. Glad you enjoyed the interview.